In the 1940s, more than 70 percent of all Mexican-American students in California attended “separate but equal” schools. And one court case changed that: Mendez v. Westminster (1946). Appalled that their three children—who were all fluent in English—were not permitted to attend a neighborhood school because it was for English-speaking students only, Gonzalo and Felicitas Mendez sued their local school district, setting into motion a series of changes to school segregation law. “Segregation… fosters antagonisms in the children and suggest inferiority where none exists,” wrote federal district court Judge Paul McCormick in his 1946 ruling for the case. 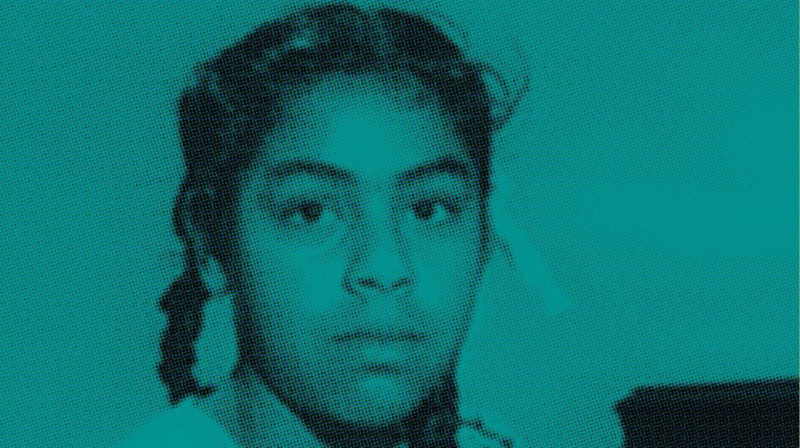 When the school district appealed the Mendez case, the initial ruling was upheld because California law did not permit the segregation of Latino and African-American students. It did, however, allow for the segregation of Native-American, Japanese, Chinese and Mongolian students—something then California Governor Earl Warren (who would later help decide Brown v. Board of Education (1954) as Chief Justice of the Supreme Court) only repealed a little over a year after the initial Mendez decision. 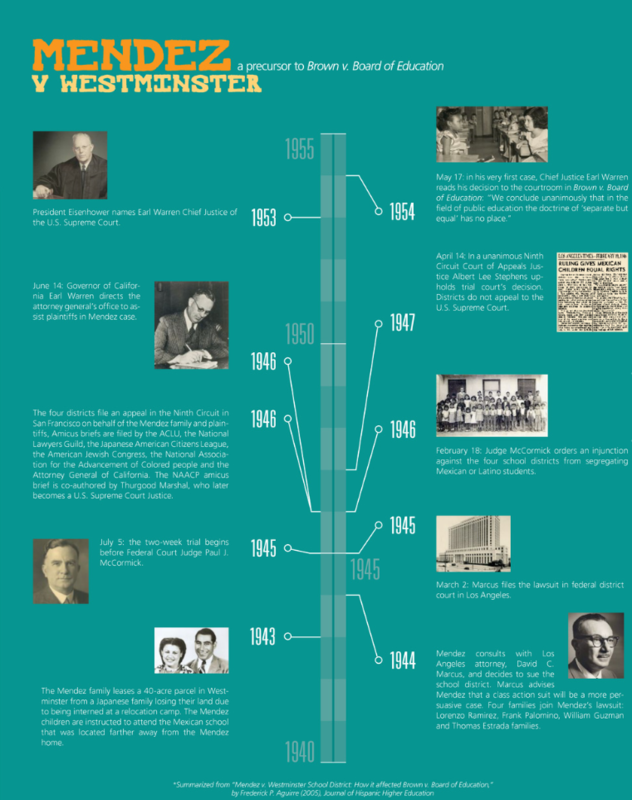 To view a larger image of this timeline, click here. Now more than 70 years after school segregation was deemed illegal in California, recent studies are showing that the vision of a desegregated school system has yet to be fully implemented. According to the Civil Rights Project at the University of California, Los Angeles, the number of schools across the nation that are 90 to 100 percent nonwhite has more than tripled from 5.7 percent in 1988 to 18.4 percent in 2013. In California, 47.9 percent of African-American students attend 90–100 percent nonwhite schools. For Latino students in California, that statistic sits at 56.5 percent, the second worst rate in the nation behind New York’s 56.8 percent. To learn more about school resegregation, this blog post offers a roundup of articles examining the issue and other equity resources. Vox: We can draw school zones to make classrooms less segregated. This is how well your district does.